Very disturbing and messed up. However, I liked it. I'm not a ballerina but I guess I can understand how stressful it is. Everything about this show is just amazing, IMO. Natalie Portman is a wonderful actress. I'm sure it wasn't easy to show so much emotion and different personalities. The hard work put into practicing ballet definitely paid off. There were some cringing moments that made the whole cinema go 'urrgghhh..'. Now, how many movies can actually do that? I absolutely love these kinda movies that are mind twisting and unlike any others. Reminds me of Perfume. Compared with The King's Speech..
Gosh.. I couldn't understand what they were saying in half of this movie. Perhaps it's just me. I found it a little boring too. Some parts were pretty funny, like the various odd methods used to 'cure' him. Perhaps I'm missing the point of this movie (struggle being in royalty?) but if I wanted to watch that kinda movie, I'll opt for The Other Boleyn Girl instead. Elizabeth isn't bad either. Despite not liking The King's Speech much, I think Colin Firth played his role perfectly. Having to fake that stutter and all.. Kudos to him for that. 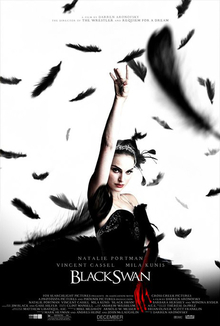 I would still recommend Black Swan but for the faint hearted... Perhaps The King's Speech is a better choice. But avoid it if your English isn't good.